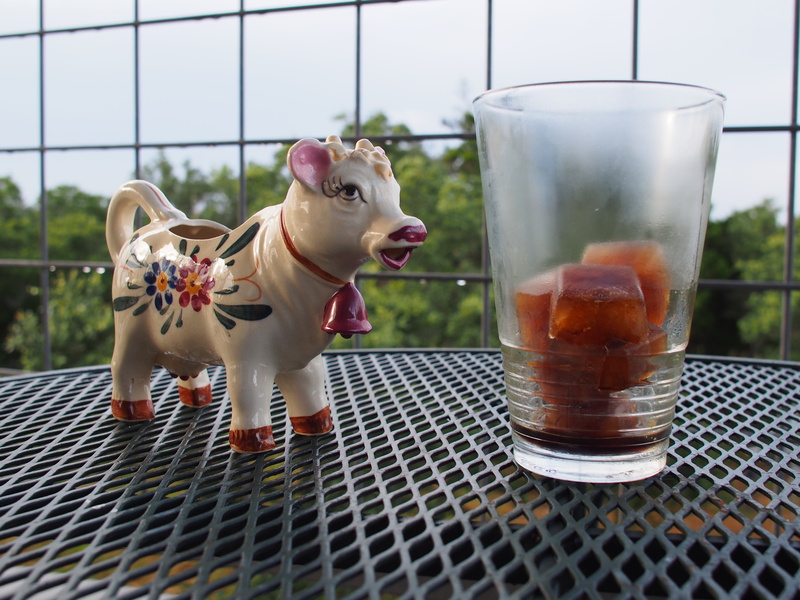 I posted a blog a couple of weeks ago about Iced coffee. I tried one of the recipes and now I am hooked. 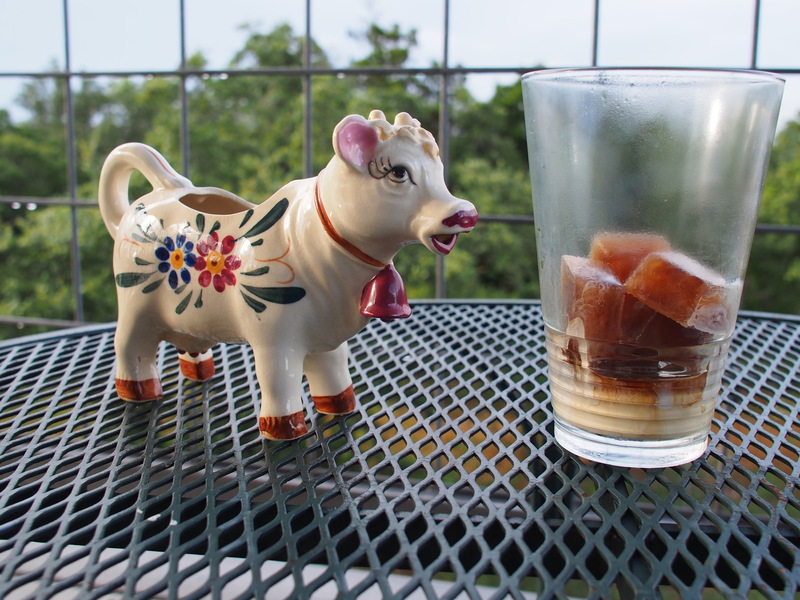 I also took the idea of freezing coffee into cubes to add to my iced coffee to keep it from getting watery. I use half & half in my coffee, no sweetener, and I found that I wanted to add a little more to the coffee as the ice melted. 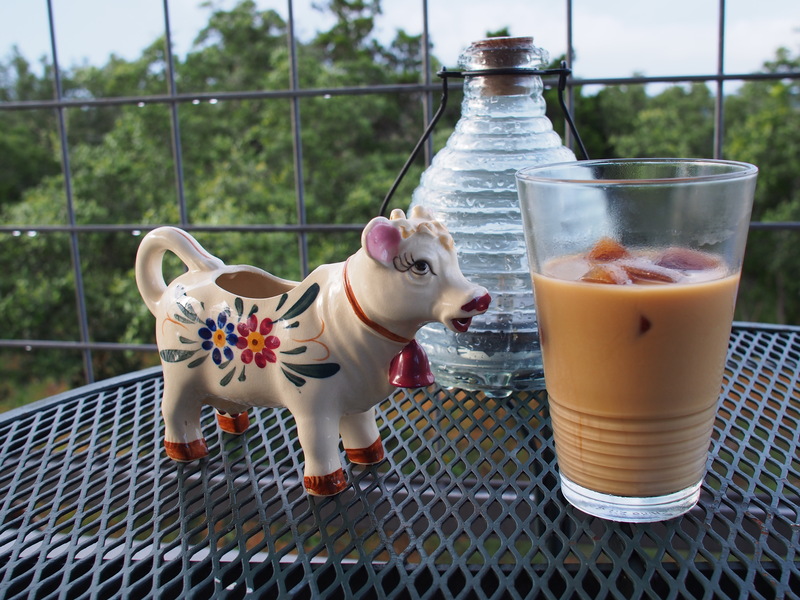 I have found a way to enjoy my coffee as the temperatures reach for the 90’s F.
Vintage Cow cream pitcher and Coffee ice. Glass is fogging up from the humidity. Finished product. In the background is our solar firefly light.